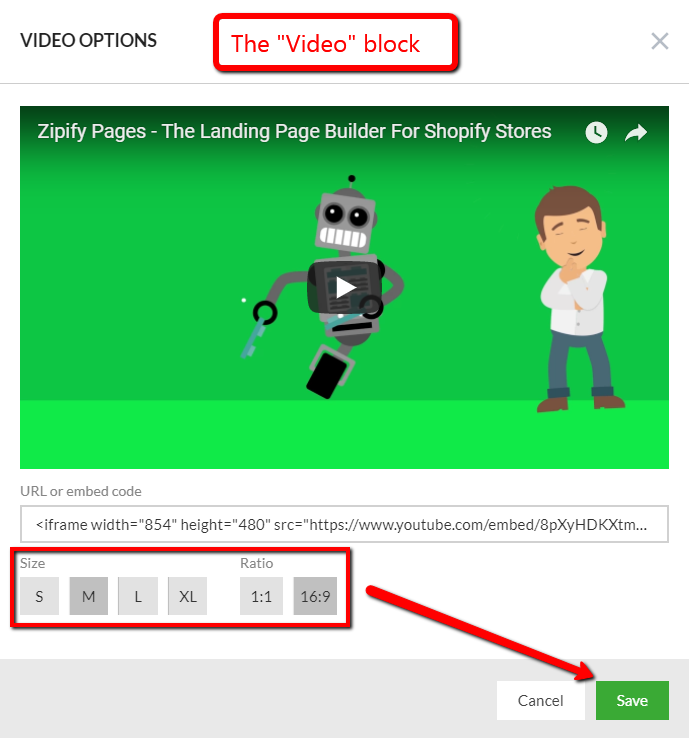 The Video Element allows you to add a video to your page within various blocks. Currently there are 6 video services supported: Wistia, Vimeo, YouTube, Facebook, Dailymotion and SproutVideo. You can enter either a direct video URL or an embed code. The video will be sized automatically based on the video area size for each block. Note: The only exception is the "Video" block which allows you to select different sizes among a list of pre-set options from small to extra large. There is also a full width option available. Just paste the video URL or embed code into the appropriate field and click the Save button. Note: You'll get an error message if an incorrectly entered URL/embed code is added or if you are attempting to add a video from an unsupported service.